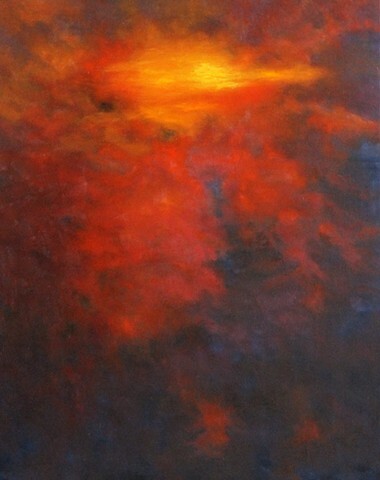 My paintings are about the interplay between light and darkness. Light represents life, the goodness within humanity and the spiritual existence of the soul after death. Darkness unfolds upon the light existing as death and the evil within humanity. I am intrigued by these conflicting portrayals between the divine and the corrupt by interpreting these embattled enemies on the canvas. Left: Theory of Existence, 2015, Mixed Media on Canvas, 50"x40"